The things I sewed for my friends have been well received - I had a lovely lunch with my friend whose husband I sewed the viking outfits for and she gave me an awesome reprinted 1950s book by Christian Dior on the A-Z of Fashion. And the friend who I sewed the little shirt for has promised to take some photos of Anna for me in exchange (she's a professional photographer) so both were worth all the frustrations in the end! In the last two days I've finished not one, but two things for myself. First up I made a boatneck top from BWOF 2/09 pattern 108 from a white textured knit that I had in my stash because I wanted to test out how my newly repaired overlocker works. It turns out the overlocker works fine now, but my skills in sewing knit fabrics are still woeful! I used clear elastic along the neckline instead of just turning it under and sewing as suggested by BWOF, but still it is a bit ripply. Same for the hems, even though I used a twin stretch needle to topstitch it is still a bit wavy. But it looks ok for a test garment, and I have worn it so I guess it passes muster. I shortened the sleeves a bit but didn't make any other changes to the pattern. I also made the skirt I'm wearing in the above photo too. Only it was meant to be a dress! It's a UFO from about 4 years ago, abandoned for the good reason that I tried to morph together two seperate patterns and it just didn't work out. Mainly because as usual I was impatient to get started and didn't make any effort to trace the patterns and make adjustments so the bodice and skirt would join together. Noooo, I just sort of creased the patterns a little and hoped for the best. And to make matters worse instead of doing a muslin (which would have been wise!) I just cut straight into the fabric which is a beautiful linen bought from Tessuti's York St store. Anyway, I couldn't get the bodice and the skirt to fit together at all, mainly because both skirt and bodice had too many panels and the linen has no ease at all. I didn't want to give up on the fabric because it's a gorgeous natural coloured background with duck egg blue and grey spots. The only problem I have now is what to wear with it, I might have to make another top now especially for it! Sooo annoying, especially since I didn't have any extra fabric at all to recut it. So all in all I'm glad I finished this UFO and the beautiful fabric is out of the box and into my wardrobe. I wore it out today and am happy with it, but I think it's a bit blah though. I just need to find a perfect colour match for a top to go with it. I wonder what my chances are in finding something in the stash!?! Just like texting whilst drunk is a bad idea, sewing whilst you're feeling poorly (as my late grandma would say) is not such a great idea either. I took Monday and Tuesday off work because I wasn't feeling that great, but because Anna wasn't sick at all I still sent her to daycare which meant I had two whole days of freedom stretching out in front of me. Instead of lying on the lounge watching crappy daytime tv or catching up on about 14 months worth of sleep, I decided to spend some quality uninterrupted sewing time. Mainly because I had a few projects for friends I needed to finish so I can get on with the important stuff - sewing for me! Only my concentration was severely lacking because even though I was sewing quite simple things it took me at least twice as long because I had to keep fixing my silly errors. I made some more Viking tunics for my medieval obsessed friend, which are really simple to sew, only I sewed some bias tape trim to the wrong side of the fabric and had to unpick it all and re-do it. All 5.5m of it! That's at least two hours of my life I won't be seeing again. I also ripped off the collar and stand after sewing it because I didn't like how it turned out at all. Because I've never sewn such a little button down shirt, I followed the instructions exactly in case the order of construction is different from adult sizes. Aside from sewing the sleeves in flat, it is exactly the same, and these instructions had the usual collar construction: sew the collar to the stand, sew the stand to the shirt. This method means it's really difficult to get a good finish at the curved start of the collar stand (well for me anyway). So instead I re-did it the way I do my shirts, following the David Coffin shirtmaking book method of sewing the stand to the shirt and the sewing the collar to the stand. 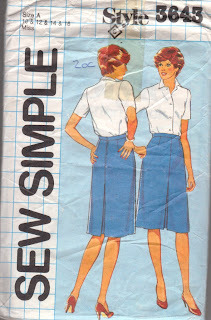 Although I have to admit, that even though I own the David Coffin book I used the fantastically easy and well photographed tutorial over at Sigrid's sewing tutorial blog - her version is far simpler to understand than the book. She has heaps of other tutorials as well which I can highly recommend. Hope you're all doing well, especially all of you in the northern hemisphere: may your toes be snug and toasty! Sorry everyone for not posting this week, I just know you are all hanging for my words of wisdom LOL! Sadly however I have been quite sick this week with a cold (in a hot summer, I know crazy!) and in fact today I have completely lost my voice which I think my husband is secretly happy about because I can't nag him to do stuff without it! Anyway I've been too sick to sew, which is annoying because I have to get some sewing for friends out of the way ASAP so I can get on with all the ideas currently swirling around in my head. But it has been a week of ups and downs. I received in the mail a yard of free fabric won from a Sew Mama Sew free Friday fabric giveway - another random draw, I should buy me a lotto ticket. Work was pretty good this week because I was so busy the day passed quickly. I bought some new shoes during my lunch hour because without a child hanging off me I can, and the Shoe Emporio in the Pitt Street mall is shutting down and all their stock is reduced to $50. I bought a pair of leather knee high boots that were originally $219! Sydneysiders, get yourself their pronto to snag a bargain. On the downside however our house flooded in the newly built section because our bodgy builders didn't put in sufficient drainage and an almighty storm we had on the weekend came flowing right into our living room, ruining the floor. Anna has some more teeth coming through that are taking forever to pop on out and she's been waking up every hour and a half through the night and then having 5am wake ups to boot. I wasted my two days off work being sick at home and still having to look after a cranky one year old instead of saving it for next week when I could have taken leave from work and she still would have been at daycare. Anna's walking has quickly progressed into running which has led to some spectacular falls and plenty of tears. So I survived my first three days being back at work - it was bizarre being there because it felt like nothing at all had changed! Happily the person who was filling in my role for the last 14 months did so much work (in fact probably more work than I've done in the last three years LOL) and managed to finish all the old pesky projects that I thought would come back to haunt me. It's all pretty boring though, I'd much rather be at home creating things than working in the policy section of a government department, but I've gotta fund my fabric addiction somehow! Funnily I was having major wardrobe crises each morning this week, I have so many work clothes but I don't seem to like many of them anymore! Which is understandable because it's been nearly two years since I've worn some of them and I guess my body shape has changed a bit since having a baby. Now this means I have reason to start sewing some more work clothes, which is great because I realise that's my favourite things to sew. An easy peasy drawstring bag that I just french seamed the two side seams and used some ribbon for the drawstring. It's in pink and white seersucker from the stash, with little white felt letters appliqued onto polka dot circles of fabric which in turn are appliqued onto the bag. This took me about an hour to make, which is well worth it since I have seen similar screenprinted bags sells for more than $20!